PLEASE NOTE:There are three "No Alcohol" sections inside Smokies Stadium. All of Section 111 is a "No Alcohol" section, as are the back of Sections 103 and 116 (rows 13-19 only). 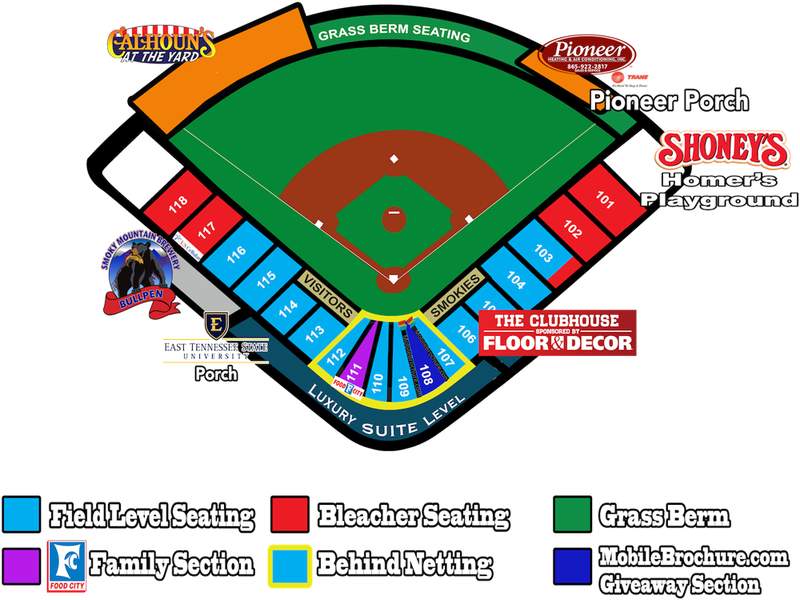 Please make note of this when ordering your Smokies baseball tickets. For more information, please feel free contact us at (865) 286-2300.